It feels like San Francisco in the middle of Stapleton. Classic red brick & architectural details create very attractive curb appeal. 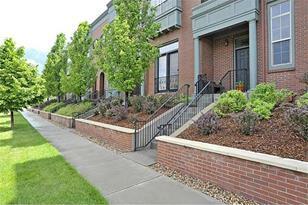 The first impression is a well appointed townhome with high ceilings, tall windows & elegant fireplace. Up a half flight of stairs to a more casual family living area, half bath & kitchen with all the modern touches. A spacious balcony with courtyard view is just waiting for a chance to unwind. Up to the bedrooms & a conveniently located laundry area with full size appliances. Two master suites with elegant five piece bathrooms create all kinds of flexible room arrangements. Location! Walk to Town Center, Central Park & trails & Aviator pool & it's all on a nice, quiet block! Above Ground: 1,438 Sq. Ft. Finished Total: 1,438 Sq. 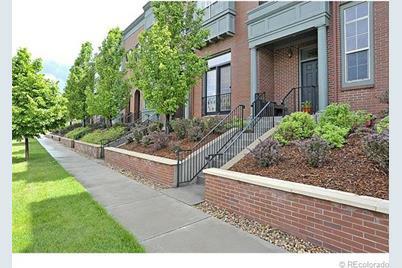 Ft.
2934 Uinta Street, Denver, CO 80238 (MLS# 1192005) is a Single Family property that was sold at $280,000 on July 24, 2013. Want to learn more about 2934 Uinta Street? Do you have questions about finding other Single Family real estate for sale in Stapleton? You can browse all Stapleton real estate or contact a Coldwell Banker agent to request more information.